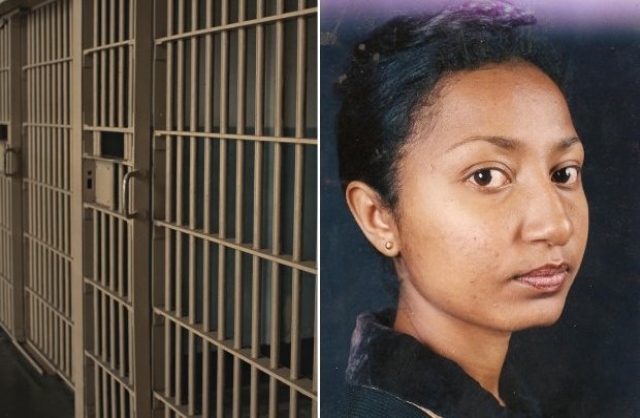 /CPJ/ New York, July 9, 2015-The Committee to Protect Journalists welcomes the release from prison todayof Ethiopian journalist Reeyot Alemu, a critical columnistwho has been jailed since June 2011 on terrorism charges. Reeyot was sentenced in 2012 to 14 years in prison, which was reduced to five years on appeal. Reeyot told CPJ today that she was happy to be free and that her health was “okay,” but that she was still taking painkillers. The journalist suffered from breast tumors while in prison. Kassaye and Tesfalem Waldyes; and Mahlet Fantahun and Zelalem Kibret, bloggers for the independent collective Zone 9. With at least 11 other journalists remaining in prison, including four other Zone 9 bloggers, Ethiopia is the second-worst jailer of journalists in Africa, after Eritrea, according to CPJ research. Most of the journalists face terrorism charges. The country is ranked fourth on CPJ’s list of the 10 Most Censored Countries. 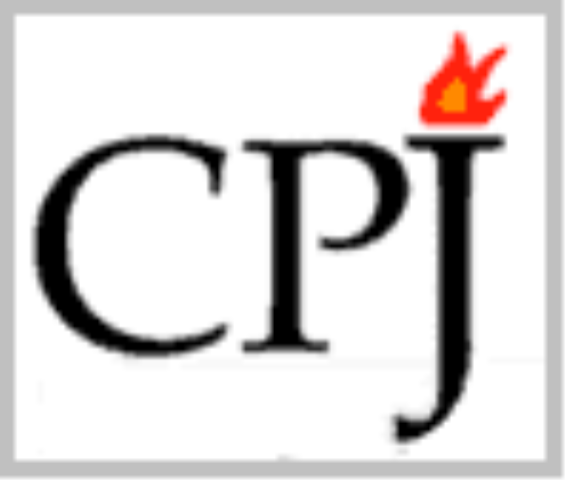 For data and analysis on Ethiopia, visit CPJ’s Ethiopia page. (washingtonpost) – When Barack Obama entered the White House, many Ethio­pian immigrants in the Washington area cheered. When he gave a speech in Ghana in 2009, vowing to promote democracy and human rights across Africa, they were thrilled. But now that Obama will soon visit Ethi­o­pia, many members of the region’s largest African emigre group are up in arms. Their concern is that his trip later this month — the first by a sitting American president — will send the wrong message and bolster a regime that has intimidated opponents, manipulated elections and sent dozens of journalists to prison. For Selassie, a former newspaper publisher who fled her homeland two years ago and now works at a parking garage, the anger is deeply personal. Her husband, journalist Eskinder Nega, is in prison serving an 18-year sentence for treason. 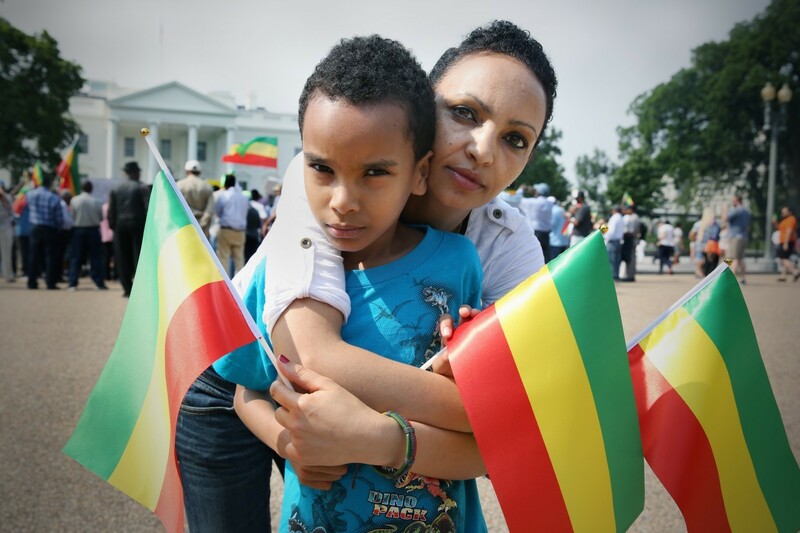 Selassie was also sent to jail in 2005, and her son Nafkot, 9, was born while she was in custody. She has not been permitted to communicate with her husband in two years. Obama’s trip will underscore the delicate balancing act of U.S. relations with the Addis Ababa government, a crucial ally in a volatile region that also regularly flouts democratic norms. The ruling party has maintained power for 24 years since the violent overthrow of a Marxist dictator. U.S. officials have long praised the government in Addis Ababa for its success in economic development and food security, its reliability as an ally in the war on terror and its generous supplying of troops for U.N. peacekeeping missions. In turn, the United States sends substantial amounts of aid. At the same time, Washington has been critical of the country’s poor rights record. The State Department’s human rights report for 2014 included a long list of official abuses, including arrests and jailings without charge, political trials and sweeping use of a 2009 anti-terrorism edict to silence the media. “We have many compelling reasons to visit Ethi­o­pia and a relationship that spans many issues,” said Grant Harris, the senior director for Africa at the National Security Council. He said the trip would provide an “opportunity to deepen our collaboration” in some areas as well as “communicate where we have real concerns” on issues of governance. Although some U.S. officials have said the regime is making progress on democratic reforms, Harris said the administration has been “exceedingly frank and candid” with Ethio­pian officials in condemning suppression of the press and opposition. “We haven’t pulled any punches,” he said. But to critics, the president’s visit looks like an exercise in public capitulation to a regime that has ignored polite demands for reform. On Friday, scores of protesters rallied outside the White House, carrying posters that accused Obama of forgetting his roots and his rhetoric in Ghana. Earlier in the week, customers at Arlington’s Dama’s Cafe, owned by an Ethio­pian refu­gee, voiced similar disillusionment. Lawyer Fitsum Alemu said he once had high hopes for the president. “We thought he understood Africa, that he cared about laws and constitutions, that he would reject the past policies of dealing with dictators. Now we are very disappointed,” he said. Not all Ethiopians here share that view. The region’s vibrant emigre community of 35,000 — the largest concentration in the United States — is sharply divided along ideological and ethnic lines that are reflected in separate enclaves of cafes and night spots. While many customers at Dama’s are Amharic speakers who oppose the ruling party, many who frequent similar District eateries, such as Axum, are minority ethnic Tigrayans who opposed Mengistu Haile Mariam’s regime, which was toppled in 1991. Since then, the government has been headed by the Tigrayan People’s Liberation Front. 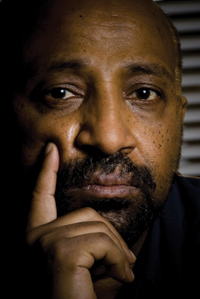 Alem Seged, 61, a retired teacher and a fixture at Axum, is a staunch defender of the current regime. He ticked off a long list of its accomplishments, including new universities, highways, hospitals, factories, dams and irrigation systems that have turned a famine-plagued country fertile. Several major human rights organizations, including Amnesty International, have also been critical of the regime. Adotei Akwei, a representative of Amnesty in Washington, said the organization has long had a “very sharp difference of opinion” with the Obama administration on Ethi­o­pia. “This executive branch has been looking for ways to burnish the relationship,” Akwei said, despite the regime’s “deepening authoritarianism” and use of anti-terror laws to stifle the press. Amnesty officials have suggested that Obama ask for Nega to be released or to visit him in prison. “We don’t see quiet diplomacy as having any impact,” he said. Selassie said her husband’s conviction for treason came largely as the result of articles he wrote during the Arab Spring of 2011, predicting that a popular uprising could come to Ethi­o­pia if the government did not bring democratic reforms. Although she has not been allowed to speak or write to her husband, friends recently sent her a private letter Nega had written to supporters abroad.